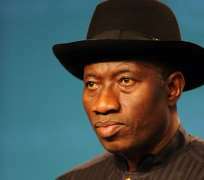 Mr. Jonathan, What if the High Priest’s Utterance is a Lightning Warning, Curse or Strike on Your Political Future? By John Egbeazien Oshodi, Ph.D.
President Goodluck Ebele Jonathan, from a psychological point of view, this is not the time to hastily send out Reuben Abati, your special adviser on Media and Publicity Affairs, or anyone else directly or indirectly, to comment on the holy words, righteous and predictive expressions of Cardinal Anthony Olubunmi Okogie, the first President of Christian Association of Nigeria (CAN), a body that you naturally believe in, given your life position as a man of Christian background and faith. The Cardinal is a priest who gave almost forty years of his life as a holy representative of godly work in Nigeria. Mr. Jonathan, by your own awareness, this Chief Priest of God is one who stands in defense of the poor and the oppressed, and stands for equal dignity of every human being. In his current status he remains a devoted servant of the people and of humanity. The larger arm of Nigerians all over the universe continues to look up to him. As you now know, this man of God, going from his own notations from the Old Testament, appears to have placed a curse on your direct or indirect quest for the presidency in next year's general elections. Why this holy agent of God in Nigeria would speak out on the state of progress and future of Nigeria at this time, and spiritually caution against your chances for a second term, and remind Nigerians of it at this critical time in your life, is beyond my imagination as a psychologist and as one who is always about human observations and prediction but only from the point of science and non-spirituality. On a therapeutic level, you and your family, especially your mother, should meet privately with the Holy One, Archbishop Okogie. You, Sir, as a human being first and a politician second, should find out how his spiritually explosive words, before the eyes, ears and minds of Nigerians, could weigh tortuously, twistingly or expansively on your soul, body and your way. Mr. President, you have said, in your own words, "We are extremely religious people,” referring to Nigerians. This man of God, a known prudent cleric, is about foreseeing or predicting danger, wishing goodness, and always cautious in all matters. As a close friend of God, what does his spirit sense about your future that makes him declare in the air of the country and into the minds of Nigerians about your undeserving status for the second term presidency? Mr. Jonathan, instead of trying to fault the points being made about your future by the Priest and God's anointed, you should meet with Archbishop Okogie. You, as a man of politics, know about the way politicians are generally and publicly judged—power hungry, greedy, wicked, cowardly, insensitive, untruthful, and disastrous. This is the more reason you ought to be very concerned and have a rethink about the weight of the faithful, fateful and spiritually allergic words of the High cleric regarding your political life and future. Sir, in my position as a psychologist, I urgently advise you to have a private audience with him, not for the purpose of answering to him, as he is not God, but to at least clear your conscience for the sake of your personal, political and national future. Mr. President, remember the election of 2015 is almost here. The electorate in their state of hopefulness or helplessness, as it relates to the coming presidential election, knows that this is a man of God. While he might not have a direct telephone line to God, in his own words he has proclaimed that God is watching you and other politicians with the potential for being judged in any and every way possible. So Mr. President, I am telling you--Go and shake his hand and have a short or long talk, now! Disclaimer: "The views/contents expressed in this article are the sole responsibility of John Egbeazien Oshodi, Ph.D. and do not necessarily reflect those of The Nigerian Voice. The Nigerian Voice will not be responsible or liable for any inaccurate or incorrect statements contained in this article." Articles by John Egbeazien Oshodi, Ph.D.